The timeless enchantment of a magical fairy tale is reborn with the Rodgers & Hammerstein hallmarks of originality, charm and elegance. Originally presented on television in 1957 starring Julie Andrews, Rodgers & Hammerstein's CINDERELLA was the most widely viewed program in the history of the medium. Its recreation in 1965 starring Lesley Ann Warren was no less successful in transporting a new generation to the miraculous kingdom of dreams-come-true, and so was a second remake in 1997, which starred Brandy as Cinderella and Whitney Houston as her Fairy Godmother. As adapted for the stage, with great warmth and more than a touch of hilarity, the hearts of children and adults alike still soar when the slipper fits. This Enchanted Edition is based on the 1997 teleplay. Description Tags: Strong Role for a Leading Woman • Roles for Children • Musical Comedy • From the World of Literature • For the Holidays • Classic Broadway. Cast Size: Small (1-10) • Medium (5-21) • Large (14+). Vocal Demands: Easy • Moderate. Dance Requirements: Extensive • Some Dancing Required. Good For: Elementary School • High School • College/University • Amateur/Community • Professional Theatre • Religious Organization. Rodgers + Hammerstein’s CINDERELLA has arrived on Broadway for the first time ever! Four-time Tony Award® nominee Douglas Carter Beane’s (Sister Act, Xanadu) delightfully romantic and hilarious take on the ultimate makeover story features all the classic elements you remember—the pumpkin, the glass slipper, the masked ball and more—plus some surprising new twists! Rediscover some of Rodgers + Hammerstein’s most beloved songs, including “In My Own Little Corner,” “Impossible/It’s Possible” and “Ten Minutes Ago” in this outrageously fun Broadway musical for dreamers of all ages. 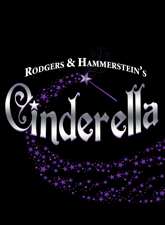 Learn more about Rodgers + Hammerstein's CINDERELLA on Broadway! The birthday of Robert L. Freedman, the writer-producer who created the teleplay for Rodgers & Hammerstein's CINDERELLA, revived in the 1997 "Enchanted Edition."" Freedman wrote stage musicals including CAMPAIGN OF THE CENTURY, and films including LIFE WITH JUDY GARLAND: ME AND MY SHADOWS." The birthday of the librettist Tom Briggs, whose work includes the stage adaptations of STATE FAIR and CINDERELLA, and the revue THE MELODY LINGERS ON. Sidebar: "Cinderella's Squirrel Fur Slipper"
The History of "Rodgers and Hammerstein's CINDERELLA"
There are hundreds of versions of the famous Cinderella fairy tale. Most of them feature a glass slipper, and many of them include a glass slipper in the title. Oddly enough, the original Cinderella story, written by a seventeenth century Frenchman named Charles Perrault, was entitled, “Cendrillon, ou La Petite Pantoufle de Vair.” In English this means, “Cinderella or The Little Slipper of Squirrel Fur.” How and why did it become a glass slipper? There are different theories, but many scholars speculate that it was a simple case of mistaken identity. In French, the word for squirrel fur is “vair,” and the word for glass is “verre.” Since they are both pronounced the same—to rhyme with “air”—it is easy to understand how listeners might have gotten confused. 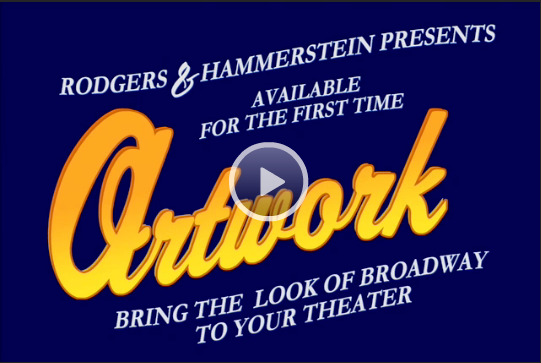 In 1956 Richard Rodgers and Oscar Hammerstein 2nd were indisputably the world’s most successful writers of musicals. Julie Andrews was a sparkling new star, having just triumphed in MY FAIR LADY. When her agent approached Rodgers and Hammerstein and suggested that the television audience would welcome a musical version of Cinderella, it was an irresistible temptation for all. Everything about the project was right from the start. The CBS production team was quickly assembled. Richard Lewine, a distant cousin of Rodgers and a close friend, was the producer, Ralph Nelson the director. Howard Lindsay and his wife, Dorothy Stickney, were signed for the King and Queen; Jon Cypher played the Prince; the Stepmother and Stepsisters were made less frightening and more comic by Ilka Chase, Kaye Ballard, and Alice Ghostley; rather than the standard old crone, the beautiful Edi Adams played the Godmother. CINDERELLA in toto succeeded. When it was broadcast on March 31, 1957, it was viewed by more people than any other program in the history of television. As a kingdom celebrates its Prince’s decision to give a ball for the express purpose of finding a bride, Cinderella’s two stepsisters and their mother enter. This less-than-lovable trio is followed by what seems to be a large pile of packages, but in fact is Cinderella carrying the ladies’ ball gowns, frills and frou frou from a successful shopping spree. Cinderella, it becomes apparent when they arrive home, will have the formidable job of making the Stepmother and Stepsisters beautiful for the ball—in addition to her other jobs, which include cooking, sewing, cleaning, washing and everything else imaginable. Although she won’t be allowed to go to the ball herself, Cinderella is happy for the others. She always tries to be cheerful and never complains. Sometimes, however, she retreats to her “own little corner” and dreams of a more exciting life. The Queen and King are not in complete agreement about the Prince’s ball (which should in fact be called the Queen’s ball, since it is entirely her idea).The King doesn’t want to have it at all, since it will be a great deal of trouble, a large expense, and why would a red-blooded boy want to get married in the first place? But the Queen has her heart set on it, and neither the King nor the Prince (who dreads the whole idea) can bear to disappoint her. The preparations continue. On the night of the ball, Cinderella helps her Stepmother and Stepsisters get ready. After they leave, she sits alone in her corner and imagines what it might be like at the ball. She’s not alone for long, however, for her Godmother appear at the window. Despite this lady’s sensible looks and practical manner, she is no ordinary godmother, though Cinderella doesn’t suspect this. With help from the Godmother’s “fol-de-rol” and “fiddley dee,” Cinderella is magically transformed for the ball. Her carriage, changed from a pumpkin, drawn by horses that were mice a moment before, whisks her to the palace. The ball is the ball that everyone remembers from their storybooks, and Cinderella is the most beautiful of Princesses. Does she captivate everyone at the palace? She does! Do she and the Prince fall in love? They do! Must she flee at midnight before her carriage changes back into a pumpkin? She must! Before she escapes, Cinderella loses her slipper, which the Prince retrieves. It is his only clue to finding her again, and he mounts a search for the foot that fits the slipper. All efforts are in vain, however. Even at the Stepmother’s house, the Godmother’s efforts to intervene for Cinderella are fruitless for Cinderella is nowhere to be found. Meanwhile, the Prince has been trying to convince his mother (and himself) that he is not in love with a dream, but with a real girl, even if she has disappeared. When his is told that no one can be found whose foot fits the slipper, he is shattered. In anger he tosses the slipper into the bushes. Cinderella, who herself can hardly believe her memories of the ball, has returned to the palace garden, hoping to recapture the magic of the night before, if only in her mind. The Prince stops her, but hardly recognizes the vision of loveliness he danced with underneath Cinderella’s sooty clothes and dirty face. She is embarrassed to be seen by him and tries to leave. For a moment it looks as if the story will end unhappily as she walks away, but at the last moment the Prince thinks to try the slipper on her foot (after the Godmother retrieves it and places it next to him). And, of course, the slipper fits. By today’s standards, it is almost impossible to conceive. The broadcast of Rodgers & Hammerstein’s CINDERELLA starring Julie Andrews on CBS-TV, March 31, 1957, was seen by the largest audience in the history of the planet at the time: 107,000,000 people in the USA, representing 60% of the country’s population at that time, and another 10,000,000 or so stretching from Canada to Cuba. It was an Event, a golden moment in the Golden Age of television. In an era when Broadway still commanded attention, this was a Broadway-caliber musical by Broadway’s most successful duo, starring Broadway’s brightest new talent. Broadcast night was opening night, and everyone in America was invited to attend. In retrospect, it was only a matter of time before the precocious art of television would look to Broadway plays and musicals to help feed its voracious appetite for wholesome yet sophisticated entertainment. 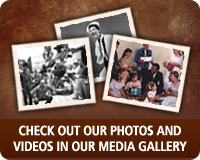 Throughout the 1950s, vintage Broadway titles, including ANNIE GET YOUR GUN, ANYTHING GOES, and two early Rodgers and Hart shows (DEAREST ENEMY and A CONNECTICUT YANKEE) showed up on the small screen. In 1955, NBC broadcast the Broadway musical version of PETER PAN starring Mary Martin; it was a sensation—and quickly rebroadcast—and the network wanted more. Richard Rodgers had given NBC a success a few years earlier with his Emmy Award winning score for the World War II documentary series, VICTORY AT SEA. Now NBC wanted to know if Rodgers and Hammerstein would do something that had never been done before: write an original musical, a family musical, expressly for television. The team was intrigued; the fact that this would be their first foray into television only whetted their appetite for challenge. "Some people said we stayed out of TV so long because we didn't like the medium," Hammerstein told TV Guide. "That isn’t true. It was simply a question of finding something exciting to do and then finding a way to do it." 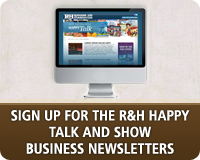 In considering NBC’s criteria, R&H settled on the fairy tale of Cinderella. Not sure how to navigate some of the network’s requirements, however, they sought the advice of an old friend, Richard Lewine, who was at the time serving as Vice President in charge of color television for rival CBS. 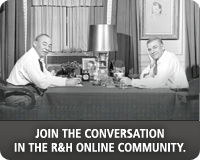 (In 1980, following the death of Richard Rodgers, Lewine would run the R&H office for a transitional period.) Lewine told R&H that CBS was looking to land a "television spectacular" of its own; the network even had a talented newcomer signed to them for this purpose—Julie Andrews, who was then appearing on Broadway in an Edwardian Cinderella tale, MY FAIR LADY. She would be ideal. "What sold us immediately was the chance to work with Julie," recalled Rodgers in his autobiography. "It was right from the start." NBC was out, CBS was in. This would be a "package deal": R&H would write the show and own it, CBS would air it and have the option of a second broadcast. Line items that would have been standard in a Broadway budget—casting, costumes, scenery, direction, choreography—were the responsibility of R&H. Those elements unique to television—cameras, lights, sound and technical equipment, national promotion, studio facilities—would be taken care of by CBS. R&H had already begun writing CINDERELLA when CBS announced the project on September 5, 1956. In the Saturday Review, Hammerstein talked about how the team approached the material: "We want the kids who see it to recognize the story they know. Children can be very critical on that score. But, of course, their parents will be watching too, so we have tried to humanize the characters without altering the familiar plot structure." The score was mapped out efficiently, and early. "Deciding who would say what and who would sing what took us a few days," Hammerstein told TV Guide. "We blueprinted the action, then we began writing." One early memorandum from Hammerstein indicates several sequences and song ideas that did not make it to the final version, including "Tirade," for the Stepmother; "I’m On My Way," for Cinderella and her Godmother en route to the Ball; "The Prince is in a Dither," for the men’s chorus; and "I Have a Feeling," a love song for the two romantic leads. CINDERELLA was written for the unique parameters of event television (in this case, a 90-minute program with six commercial breaks), so the action, songs and dances were meticulously crafted to fit into half a dozen separate acts. 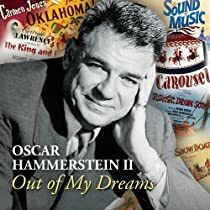 "It takes a year to write a Broadway show, "Hammerstein told Time Magazine, adding, "It took me seven months to write the book and lyrics for CINDERELLA." A working script was completed just in time for the start of rehearsals on February 21, 1957. The director for CINDERELLA was Ralph Nelson, already an old hand in this young field; the previous year he had won an Emmy directing REQUIEM FOR A HEAVYWEIGHT. The dance sequences were staged by Jonathan Lucas, who had, in earlier seasons, choreographed for THE MILTON BERLE SHOW. In the music department: Rodgers’ old friend Robert Russell Bennett orchestrated CINDERELLA, and CBS’ Alfredo Antonini was hired to conduct. Richard Lewine was on board officially as well, serving as producer while the sets and costumes were from Broadway’s husband and wife team of William and Jean Eckart, with lighting by Robert Barry. It was Julie Andrews’ commitment to MY FAIR LADY (she still managed to do eight shows a week there during most of the CINDERELLA rehearsal process) that kept CINDERELLA in New York, and it was her talent that set the standard for the Broadway-caliber company surrounding her: Ilka Chase as the Stepmother; Kaye Ballard and Alice Ghostley as the Stepsisters, Edie Adams as the Fairy Godmother and a handsome unknown, Jon Cypher, as the Prince. To play the King and Queen, a pair of Broadway royalty: the husband and wife team of Howard Lindsay and Dorothy Stickney. With CINDERELLA, R&H braced themselves for the strange world of television by pretending they were still on familiar ground. "You know," Rodgers told the Saturday Review, "we’re doing it as much like a stage show as possible." In Time Magazine, Hammerstein reflected, "TV's easier than theater because it’s very intimate, very fluid. You have dissolves, quick cuts and no exit problems. Being ignorant of the medium," he added, "I wrote this show on the assumption we could do anything and nothing has been refused me yet." From the mammoth studios of the CBS headquarters on West 57 Street, where rehearsals began, the CINDERELLA company moved to its actual broadcast studio in early March. CBS Color Studio 72 at Broadway and 81st Street was, at the time, the smallest color studio in the CBS empire, but the best option in New York. For three weeks leading up to the March 31 broadcast, it was a scene of frantic activity—a combination of MY FAVORITE YEAR and A NIGHT AT THE OPERA. Packed into the cramped, 4,200-foot space were 56 performers, 33 musicians, and 80 stagehands and TV crew. Providing a hair-raising obstacle course at all times were four giant RCA color cameras, racks loaded with up to 100 costumes, over half a dozen huge set pieces, and loads of props (some of them rigged with special effects). The actors were instructed to maneuver with caution, and the musicians were sequestered in a tiny room that required a specially-devised echo chamber to overcome the suppressed acoustics. Every inch counted: even Cinderella’s live mice got too big during rehearsals and had to be replaced by broadcast night. Added to the frenzy was pressure: CBS had a lot riding on this one, including prestige (a competitive desire to surpass the high mark set by NBC with PETER PAN) and money (over $370,000 was spent on CINDERELLA—more than double the sum usually spent on a TV production at that time). Taking no chances, the network rolled out the largest PR and marketing campaign America had ever seen, ensuring that every newspaper; magazine, radio and TV outlet in the country knew about CINDERELLA. In addition to CBS, the two proud sponsors of CINDERELLA—Pepsi-Cola and Shulton, makers of Old Spice—undertook lavish promotions of their own. In a final, pre-broadcast flourish, Pepsi printed up 5 million comic books based on CINDERELLA, and shipped them out with 6-packs of soda. Along with their stars, Rodgers and Hammerstein gave a series of high-profile interviews, and appeared in TV featurettes promoting the telecast. In perhaps the biggest PR coup of all, the duo appeared on THE ED SULLIVAN SHOW exactly one week before the CINDERELLA broadcast. There, as Hammerstein recited the lyric, Rodgers lead the Sullivan orchestra in the first broadcast rendition of "Do I love You Because You’re Beautiful?" 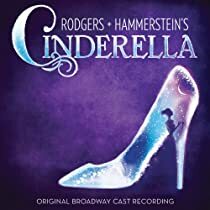 Promoting the CINDERELLA songs was of great importance to R&H, since they wanted to be sure that their songs from this score be given as much chance to succeed as had the big hits from their Broadway shows. Rodgers: "It takes time for the public to become accustomed to songs and to like them. If we had to depend on one performance of OKLAHOMA! or SOUTH PACIFIC to put the music across, it would have been pretty tough." So the team took no chances. In early March, Julie Andrews recorded six songs from CINDERELLA for a special disc that was sent to an extensive list of TV news editors and radio disc jockeys. Another album of four songs from the score, covered by Vic Damone, Peggy King and Paul Weston’s Orchestra, was released exactly four weeks before air date. And finally, on March 19, in the midst of rehearsals, the entire CINDERELLA company dashed over to the Columbia Record Studios to make an original cast album. Produced by the venerable Goddard Lieberson, the CINDERELLA album was in stores on April 1, the morning after the broadcast. Finally, it was air date: Sunday, March 31, 1957. Starting at 8PM, CINDERELLA was broadcast live in Eastern, Central and Mountain standard time in both monochrome and compatible color; the West Coast received a delayed broadcast starting at 8PM local time, a videotape format that was transmitted in black and white. Beyond the United States, CINDERELLA was carried by CBS syndicated affiliates in Canada, Mexico, Cuba, and the US territories of Alaska, Hawaii and Puerto Rico. The ratings, based on the "Trendex Survey" in use at the time, were astonishing then, and almost incomprehensible today. According to Variety, the 107,000,000 American viewers for CINDERELLA, factored into the number of televisions then known to be in existence, indicated that 24.2 million households were tuned in that night, with an average of 4.43 viewers for each set. Jon Cypher later recalled heading out of Studio 72 on that cold early spring night, a few minutes alter the broadcast had ended, and finding the streets deserted. No one was out; everyone had stayed in, huddled around their TV sets. CINDERELLA had aired 14 years to the day of Rodgers and Hammerstein’s first opening on Broadway, OKLAHOMA!, and the comparative statistics were not lost on the composer; as he later recounted, a Broadway run of CINDERELLA could only have equalled its initial TV audience if it played 8 sold-out performances a week, every week, for 140 years! 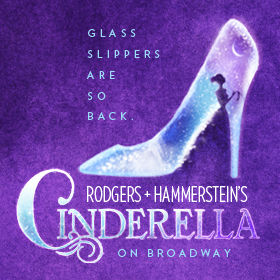 A few weeks after the broadcast, Hammerstein revealed to Variety that he and Rodgers were planning on expanding CINDERELLA into a full-fledged Broadway musical. It never came to pass, though the team stayed with the Cinderella theme for their next and final two works: Mei-Li of FLOWER DRUM SONG and Maria of THE SOUND OF MUSIC both make the rags-to-riches journey, and each one finds true love with her personal Prince. Though Rodgers and Hammerstein didn't bring it to Broadway themselves, CINDERELLA made an easy transition to the stage. The London Coliseum in England had the honor of performing it live for the first time, with a 1958 holiday pantomime adaptation that also used songs from ME & JULIET. In the U.S., CINDERELLA began appearing onstage as early as 1961. With its stage success on track, CBS wanted to bring CINDERELLA back to television. The 1957 premiere had been phenomenally successful, but in the days before videotape it was doomed to one performance only. In 1965 CBS re-staged CINDERELLA, with Richard Rodgers serving as Executive Producer. While Joseph Schrank was brought in to revise the teleplay, the score remained intact, with the addition of a solo for the Prince, "Loneliness of Evening" (a ballad originally written for, and cut from, SOUTH PACIFIC in 1949). The '65 CINDERELLA featured a cast as remarkable as the original: Ginger Rogers and Walter Pidgeon played the King and Queen; OKLAHOMA! 's original Ado Annie, Celeste Holm, played the Fairy Godmother; Jo Van Fleet was the Stepmother with Pat Carroll and Barbara Ruick as her daughters; and Stuart Damon played the Prince. A young Broadway star-to-be, Lesley Ann Warren, played Cinderella. Taped for broadcast, this CINDERELLA premiered on February 22, 1965, and was shown on CBS eight more times through February of 1974. Yet another television remake of CINDERELLA was prepared for a broadcast premiere on ABC-TV's "The Wonderful World of Disney," November 2, 1997. Its dazzling all-star cast included Whitney Houston as The Fairy Godmother, singing and TV sensation Brandy in the title role, Bernadette Peters as the Wicked Step-mother, Whoopi Goldberg as The Queen, Victor Garber as The King, newcomer Paolo Montalban (plucked from the Broadway cast of THE KING AND I) as The Prince, and Jason Alexander as his Steward. Budgeted at more than $12 million, this spectacular new production also boasted several songs new to CINDERELLA—Rodgers & Hart's "Falling in Love with Love," as advice from the Step-mother to her daughters; "The Sweetest Sounds," a number from Rodgers' solo Broadway score, NO STRINGS, sung here by Cinderella and the Prince; "The Prince is Giving a Ball," revised as a production number merging stanzas from the Steward's song "Your Majesties" with additional lyrics by Fred Ebb; and "There's Music in You," written by Rodgers and Hammerstein for the 1953 film MAIN STREET TO BROADWAY, sung here as a sweeping benediction and the fairy tale's finale by Fairy Godmother Whitney Houston. A co-production of Walt Disney TeleFilms, Storyline Entertainment and Houston Productions, this CINDERELLA—like the two TV versions preceding it—made television history: as the #1 show of the week, with over 60 million viewers, it became the highest-rated TV musical in a generation, a hit with critics and audiences alike. An encore broadcast on Valentine's Night 1998 drew another 15,000,000 viewers and the Disney Home Video version, also released that year, became the best-selling video of a TV movie ever released. Rodgers & Hammerstein's CINDERELLA endures. All three TV versions have been released on DVD, and their soundtracks are all available on CD. Stage productions of CINDERELLA continue to thrive as well, including an acclaimed version presented by the New York City Opera in 1993, 1995, and 2003. In the Fall of 2000 Rodgers & Hammerstein's CINDERELLA stepped down from the screen and onto the stage once again in an enchanting revival on U.S. National Tour, starring Eartha Kitt as The Fairy Godmother. Today, R&H Theatricals also offers GETTING TO KNOW...CINDERELLA, a shortened and simplified version of the musical that can easily be performed by children. Between this version and the original, CINDERELLA remains one of the most popularly performed musicals: more than 250 productions of Rodgers & Hammerstein's CINDERELLA are presented in the United States every year. Travelling from TV screens to opera houses to stages across America, Rodgers & Hammerstein's CINDERELLA has emerged from her own little corner to live happily ever after. Though a few of its songs have become popular, our score for CINDERELLA is another example of what theatre music is really all about. No matter what the medium, a score is more than a collection of individual songs. It is, or should be, a cohesive entity whose words and music are believable expressions of the characters singing them. When the lonely, bullied heroine sings, 'In My Own Little Corner,' it's not merely a song, it's a revelation of the girl herself. When she finishes, we know something more about her than we had before;her sense of humor, her naive optimism, her imagination and her relationship to the rest of her family. It's fair to say that this song is familiar to a vast number of people, but it has never made anyone's hit parade and never will; it is simply part of the score. Like a symphony, concerto or opera, some portions have greater appeal than others, but it is the work as a whole that makes the overall impression. KeyboardEase:This unique resource is designed specifically to meet the needs of productions that want convenient, cost-effective access to these hard to find keyboard sounds. We have carefully assembled all sounds required for a given show. Everything is laid out in correct sequential order, so you can easily progress through each song in each keyboard book with professional, authentic, show-specific sounds. All you have to do is connect any standard keyboard (or multiple keyboards) to your laptop and you'll be ready to perform. And we'll help you every step of the way. CINDERELLA takes place once upon a time in a kingdom far away. VIOLA/VIOLIN III (one or more players) NOTE: THE VIOLA/VIOLIN III book is split 75% Viola/25%Violin III. The part may be played completely on Viola with the player playing the Violin III parts on Viola. In some instances these will be in the higher range of the viola, but are not unplayable. *Promotional video rights can only be granted once a performance license for Cinderella (Enchanted Edition) has been secured. Please contact customer service if you have any questions. If you have not yet applied for Cinderella (Enchanted Edition), you can do so here. LOG IN to learn more. *You must be logged in and licensed to present Cinderella (Enchanted Edition) in order to license Archival rights. Please contact customer service with any questions. *You must be logged in and licensed to present Cinderella (Enchanted Edition) in order to license Distribution rights. Please contact customer service with any questions.